Tavour popped onto my radar a few months ago after untapping a beer on the Untappd app. It's pretty hard to ignore $10 in free beer, so I went to their site to check out what kind of selections they have. Things got off to a rocky start. I originally wrote a somewhat negative review of Tavour, but have since changed my tune. They made some changes to the way their website functions, and I switched over to using the app. Now, everything is hunky dory, and I'm pretty impressed with this very unique beer ordering service. My second favorite thing about Tavour is that they don't charge a monthly fee like a lot of other beer clubs. The #1 thing that makes Tavour awesome is that I can try a ton of new, awesome beer, and I don't have to commit to a whole six pack or drive two hours to get it. The beer selection they offer is pretty impressive in my opinion. Pretty much everything that came through my inbox was something I had never tried before. I live in a podunk town in the Central Valley, and we don't have very exciting selections here at the local Bevmo. I have to drive an hour and a half to get to another distribution area to find specialty items or unique brews. Some of the less “rare” items I ordered were Evil Twin's Even More Evil, Capital Brewing's Supper Club, and Laurelwood's Red Elephant. These were solid beers. Actually, Supper Club was my #1 favorite out of everything I've tried so far, and would be a solid choice for a daily drinker. A few specialty brews I purchased include Fort George Brewery's Magnanimous IPA (with fir tips), Brasserie de Silly Bourbon Barrel Aged Scotch Silly, and Freigeist's Geisterzug Spruced Gose. I also got a Jolly Roger from 2013 and 2014 for a vertical tasting! There were other beers I ordered, but needless to say I was happy with my selections. They arrived unscathed, and tasted great, although I haven't opened them all yet. Update 2018: After trying a second round of Tavour two years later, the beer selections are still good. They have a good mix of cans, bottles, bombers, rare beer, and daily drinkers. This time I ordered a bunch of sours, brett beers, and IPAs with experimental hops. This is where I ran into quite a few issues. The guys behind Tavour were not rude or anything like that, my impression of the company after ordering is that they seemed like a couple dudes in their garage trying to start a beer delivery company, rather than an efficient service. First off, what's the deal with needing to respond to emails to get a beer? It seems so random to me. Maybe they don't get enough of each item to make it worth investing in software that tracks inventory? I had several emails that were not responded to, or were responded to after more than a week. I honestly felt like I was being ignored a few times, but maybe the emails just got lost. For example, there were big shipping problems on my order. 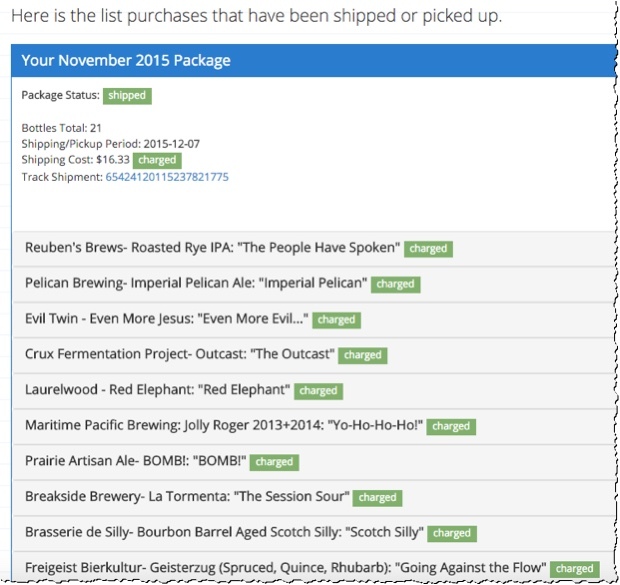 I was totally confused about when the beer shipped, or if it shipped. Apparently there was some problem with the overnight shipping company, which is understandable, but no one told me! Here I was clearing my schedule to be home to receive the order for about an entire week, and I found out later that it hadn't even shipped yet. Then, they couldn't even give me an approximate ship date. The package was supposed to leave the facility on the 7th of December and did not arrive until December 24th. Thankfully, after all that hassle they credited my account with another $10 in free beer, but I certainly spent a lot more time calling the shipping company, sending emails, and twiddling my thumbs at home waiting for the package to arrive. Of course, this was a unique situation, so I can't say that this is a continual problem, but lack of communication I feel was an underlying problem during my experience. Update 2018: After two years of not using Tavour, I decided to not hold a grudge against these guys and try the service again. I've got about 8 beers waiting in line to be shipped on Jan 8, 2018, so we'll see how things go! As some commenters noted after I posted this original review, using the app is a lot more easy than the email system. You don't have to respond to anyone or deal with the hassle of emails. 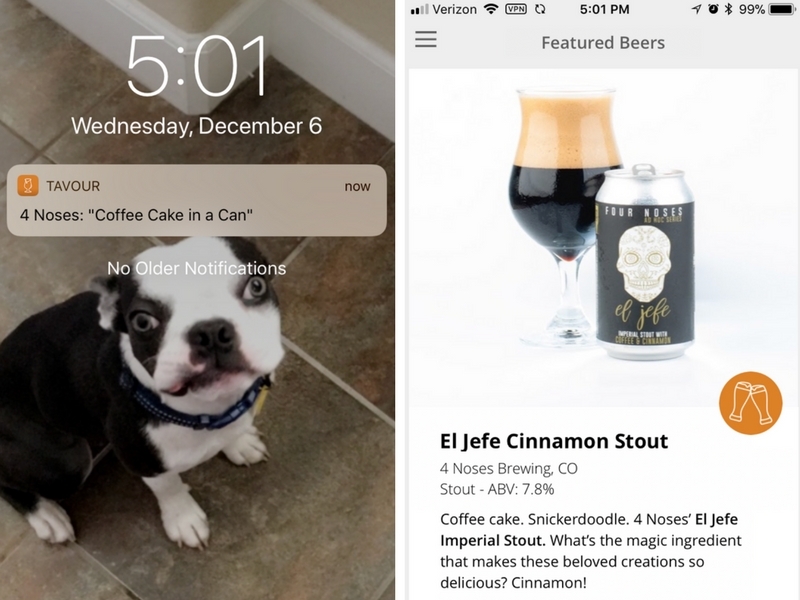 You just get a little buzz or ding in your pocket from your phone notification, and you can preview the name of the beer that just became available. If it sounds interesting, like a Barrel Aged Spiced Apple Porter, you can swipe to open directly into the app. Inside, there's a more detailed description of the beer and brewery, plus the cost and ordering limits for this selection. Click that you want to order, and how many you want, then it's added to your crate. You can check your crate inside the app or on the desktop website. Super easy! I really like the beer descriptions they write in the emails. Even though I don't plan to get another package right now, I'm still on the email list just because I enjoy reading about beer. The beer history and flavor descriptions are spot on and entertaining. I'll admit, at first I was kind of turned off by not having an actual picture of the bottle in the email, but I've grow to prefer having a worded description. A picture is just a picture and doesn't say much about the craft beer you are going to buy! You can join their email list here and listen in! Update 2018: I now prefer the app. Though reading descriptions is fun, honestly it's a lot easier just to read the title, skim the flavor profile, check out the label and order. NOTICE: When you order beers, watch out for when your box closes. It's not from the 1st-31st like you would think. There are arbitrary dates around the beginning and end of the month for when you box closes. If you order beers at the end of the month, they may end up in NEXT month's box, locking you into another month's order. Who is Tavour Good For? Tavour is great for someone that is particular about the beers that they want to try, and has a limited selection of brews in their nearby bottle shops. 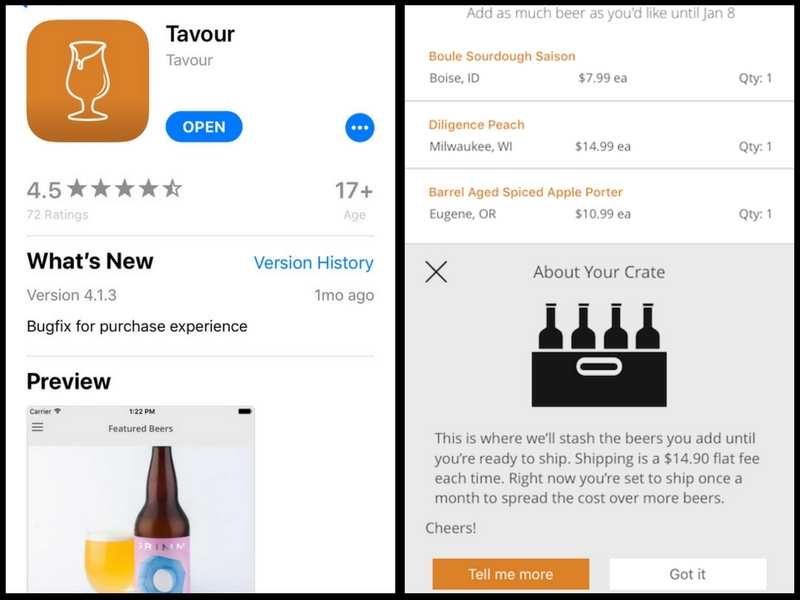 If you have a smartphone and like the idea of building a custom crate of beer over a month, you'll really enjoy this service. Personally, I love that I can build a custom crate of 1-2 of each kind of beer rather than investing in a whole six pack to myself. And of course, this is an option for anyone that's tried other beer delivery companies like Craft Beer Kings, Craft Shack, Rare Beer Club, or Beer of the Month Clubs. If you've tried those in the past and are looking for something different, Tavour was pretty cool to try. Yes! I like the fact that they don't charge a monthly membership fee. This way I can just keep the app on my phone, and if I want to explore some new beer for the month, I can just start responding to notifications and build a beer box. You can get $10 in free beer just by signing up through my link. I also get $10 in beer credits, so you'll be supporting my website and and helping me learn more about awesome beer! That was a great review on Tavour partner! I’d never heard of them before, never even thought about ordering some beer over the internet. I really learned a lot from this post Nate. Thank ya’ for some great entertainment here. By the way, I don’t think I’ve even heard of any of those beers. How do ya’ even know where to begin??? Thanks for the great review. I’m getting ready to have my first box shipped, so not much experience with them yet. One thing I wanted to point out is I’ve not actually been using the email system. I downloaded the Tavour app and have been using that to order. No fussing with email, no waiting to find out if I missed a brew. The one time a beer was sold out it told me when I went to add it. It also said they would try and see if they could get there hands on more, which they did, and it automatically added it for me when it became available. Thank you very much for this comment Josh. I had no idea they had an app. Hmm. I wonder why they did not make this more obvious. They should really include a link in their email, and put an ad on their site, or some kind of prompt. I guess it’s possible I’m just oblivious, but as a buyer that opened 30+ emails and went to their website multiple times, I hadn’t discovered it til this comment. This also solves the problem of checking your email all the time if you can set the Tavour App to send you notifications when something comes in. PS. Be sure to stop by and let us know how shipping went, and what your favorite brews were! I love the website! 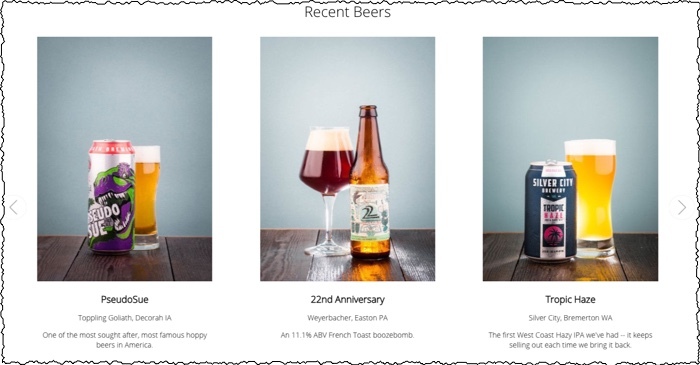 It’s great to hear from somebody that’s documenting their experiences with the beers they come across. I too have an affinity with learning about and tasting more beers. My, now deep interest in this started only about 18 months ago, but every time the prospect of a new brew comes about, I get all warm and toasty inside… Especially the bold flavors of IPAs. I’m also subscribed to Tavour’s list and they do have some great looking beers that I’d love to taste. You mentioned that you’re in a podunk Central Valley town. I lived in Newman/Gustine, then in Modesto for about 7 years. I would have to agree that the good beer selections are certainly a bit lacking. Dust Bowl Brewing in Turlock is a gem though. Keep up the good work and I look forward to reading more on xbrewx. Oh yeah, Dustbowl is a real gem! I’ve heard they’re opening a brand new facility and are turning their old place into a sour beer thing. That will be awesome! Haha. Newman/Gustine is a bit more podunk than where I live. I’m in Modesto now, but grew up in Atwater. Thanks for stopping by Tim, and I hope my review helped you! We’re from the Central Valley too and have been using Tavour regularly for several months now. We usually get 15-25 bottles a month. Everything was going great until this month. They lost my shipment, and their story didn’t add up. I’m being refunded roughly $200, but I would much rather have the beer. Very disappointing to wait over a month for something and never receive it. Also, you are right about the Tavour app. We found out about it through a friend. No mention of it in emails or online. Nate, thank you for posting your even-handed, thoughtful, and overall excellent review. I am fortunate enough to live within a quarter mile of Tavour, so I use their services all the time. Recently, they have offered a lot of Tavour exclusive beers, mostly from the Midwest, East Coast, and the South. So, even though I live in Seattle, it is still great to use Tavour to find beers that do not otherwise distribute to this area. And, as Josh pointed out, anyone interested should download the Tavour app, as it solves all of the issues you correctly pointed out about ordering through email. Tavour also does some great customer-focused activities, like throwing a Christmas party for its regular customers and having extended-hour tastings open to anyone. Of course, that doesn’t help if you are in California (sorry), but it is still cool. 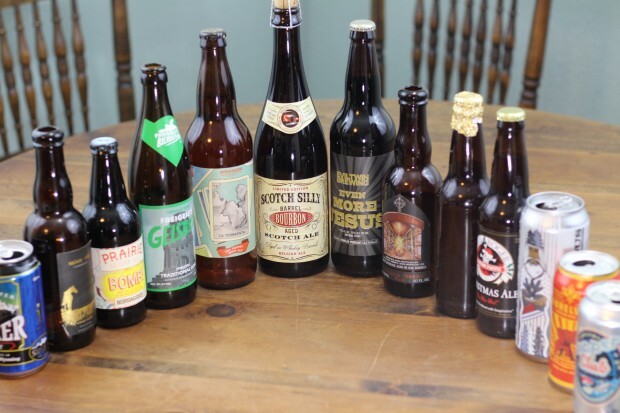 When they get an extremely limited supply of a rare beer, they also offer it to their most loyal customers first, which is how I was able to score some great finds. That’s something that customers anywhere can take advantage of. While I have been faithfully using Tavour for a couple years now, like you, I did once have a series of mishaps with my order. I expected this, as Tavour is a relatively new start-up, but I still wrote an email to their support staff voicing my frustration. To my surprise and delight, one of the cofounders insisted on meeting me in person. He took me to Schooner Exact (a great local brewpub), apologized, explained what had happened, explained the steps they were taking to keep it from happening again, bought my lunch and beers, and even gave me a couple of free bottles (from Bells and Founder’s, no less). I was blown away. But I have come to find that is exactly the type of business they are. While they might make mistakes, they care deeply about their customers and strive to provide the best service possible. I strongly encourage any readers of your blog to sign up with the link you provided. Every indication is that Tavour is just going to get better and better. If you love great beer and you like supporting local business, Tavour is an easy choice. Oh, and P.S., the basket dates were a bit tricky for me at the beginning, as well. They start a one-month period whenever your basket opens (i.e., you purchase the first beer of the basket) to give a person plenty of time to fill it up to make the flat rate shipping cost more reasonable. They don’t want to charge someone the full shipping rate to only ship one or two beers. Get the app on your iPhone. All the cons mentioned above go away. Pictures, ordering history etc. all there easily available on the app. Seems a lot of folks are saying that. Even given the age of this review, the information is very helpful. I live in Seattle and would be more likely to drop into the local and pick up rather than consider shipping. We used to have some very creative and quirky brew stores but when the selection dropped and the cost of a 22oz bottle climbed near $10, that’s a bit much when I can walk to a Ballard neighborhood nano and fill a growler for $7-10. I tried to set up an account with Tavour but got no where this morning. I’ll wait a day for a response to my email and then consider downloading the app. Having not seen the prices for the beverages, I still don’t know that I would actually order given all the choices I have. Noting your order above, I’ve been filling growlers at Reuben’s and Maritime for years. With 18 nano brewers within 3 miles and 20+ more with a short drive, I’m a tad beer spoiled.